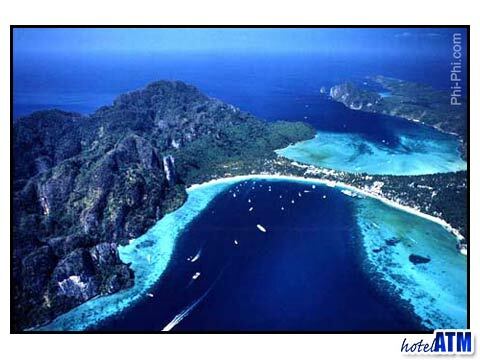 There are about 20 km of coral reefs on the Phi Phi Islands, most of which are between 6-12 meters deep. There is a tremendous variety of reef type on the Phi Phi Islands as they lie on all points of the compass. Cliffs with shade, currents, deep and shallow reefs provide a huge variety of eco systems allowing great diversity. There is about a three meter tide as the water moves inform the Andaman Ocean and moves up into the Phang Nga Bay in the north. The largest spring tides are at the equinox ( March & September) and can grow to about 5 meters. At low tide the whole coral reef in front of Tonsai Village is exposed inducing the local families to collect edible shells. The quality of light varies depending on the time of day and proximity to land. Some areas (ie Wang Long) have flourishing coral reefs that are not colorful as they have developed in the shade under the cliffs. The Best light for is at Bamboo Island. This depends greatly on, the state of the tide, currents, recent wave action, weather patterns in the Bay of Bengal, the blooming season of micro organisms in the ocean and the state of the moon. It is difficult to predict from bay to bay and from season to season but the rule thumb is: Jan-April is the best. Just after the full moon is optimal and high tide is preferable. 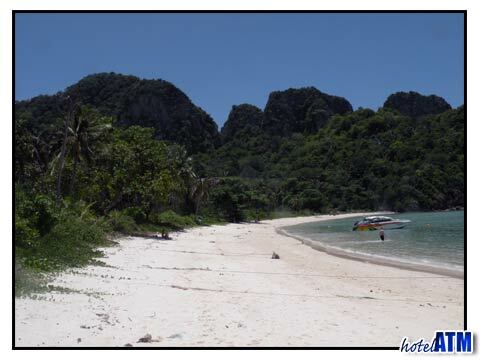 Two of the biggest adventures on Koh Phi Phi are diving and snorkeling. The diving reefs are mainly off Phi Phi Ley and Koh Bida but there are some delightful submerged reefs like Hin Bida, Garang Heang and Phuket Shark Point. Alot of the best snorkeling is around Phi Phi Don where the reefs are shallower and more colourful. Check out Phi Phi Diving and snorkeling/ for a full list of diving and snorkeling options.